We believe it is important to educate our children to be strong in the basics of literacy and numeracy and that it should be fun! In the first years at school students will be immersed in written, oral and visual language and taught to master the basics of reading and writing. We start to develop oral literacy and oral performance skills in the children from Year 1. In the senior school, children then extend their reading and writing skills and experience a range of genres. They apply their literacy skills to research projects, performance and speech and refine and develop these so that they are fully independent and confident by the time they leave us. Students are taught how to approach mathematical problems in a range of ways and apply their basic knowledge of number to a range of increasingly complex mathematical problems, using strategies developed under the National Numeracy Project. The basics of counting, time, money and times tables are still emphasized. 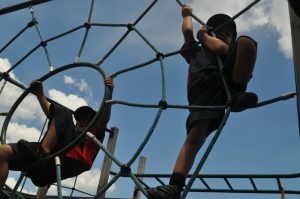 The Pak Heights Learner incorporates the vision and key competencies of the New Zealand Curriculum as identified by the Pakuranga Heights learning community. These dispositions prepare students for the challenges of being a confident, connected, actively involved life-long learner. 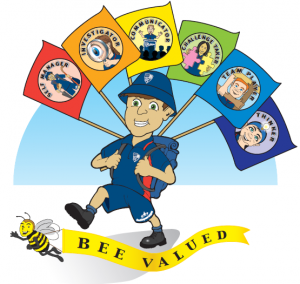 Our Bee Valued programme is the foundation in which students will also foster the dispositions. Download (from the attachment at bottom of page) a copy of our rubric of the behaviours that exemplify each disposition. In today’s information-orientated world, it is vital that all of our students know how to investigate questions and solve problems. We have been developing an integrated approach to delivering the curriculum based around inquiry learning strategies and real contexts for learning. Children develop ‘authentic’ tasks and questions as part of the learning process and with the assistance of a range of resources, seek to find answers to these questions and apply the information to answer the questions they have posed. Chromebooks and iPads in every classroom assist this process with access to web based resources. The traditional curriculum areas of social studies, science, technology, the arts, health and PE, as well as language and mathematics are integrated in this approach. The Heights Hive of Learning was developed to illustrate the stages in the learning process and to reinforce the metaphor of learning and working together. Our inquiry model is based upon the acronym HEIGHTS. To align with our school vision of “Reaching new heights together”, a honey comb was symbolic to represent our Bee Values programme and bee school mascot.There are 6 stages in the inquiry learning process and learners should always know what stage they are at. 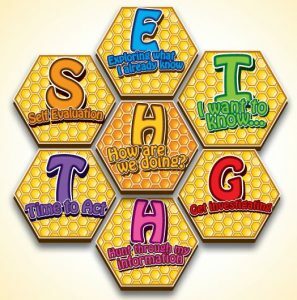 The 6 stages always link back to the central “H” honey comb where learners are asked to reflect on their learning by asking “how am I doing?”. Our BeeValued (BeeV) programme supports the learning environment and the way we care for each other. It is based on the Cornerstone Values programme (which has eight values: Honesty and Truthfulness, Kindness, Responsibilitiy, Respect, Consideration, Obedience, Compassion and Duty) and our senior students are expected to model these values to the younger ones. All children are expected to adhere to these. Over several years we have integrated these eight values into promoting four values. 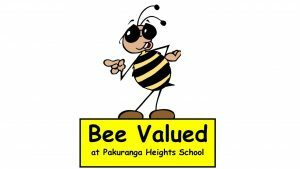 Pakuranga Heights has a Bee mascot called BEE-atrice. Bee-atrice will play a significant part in any important school events. The school ran a naming competition to name our bee, and children were introduced to Valerie and Bee-atrice at a school assembly. 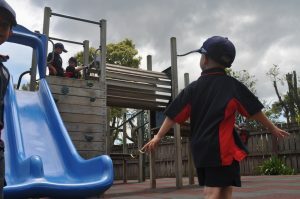 In our reporting at Pakuranga Heights School it is acknowledged that encouragement and support from parents and carers are important elements in the learning process. This partnership is the foundation of our vision “Reaching new heights together”. It is vital that parents and caregivers are well informed. 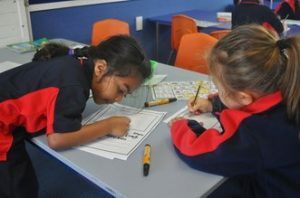 Written reports: Mid-year to show progress towards the New Zealand curriculum levels and at the End of Year to show achievement against the New Zealand curriculum levels. Assessment Data: shared as necessary ongoing throughout the year. 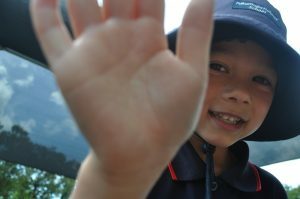 ​It usually takes a child two years to move through one curriculum level.